Prime Minister Narendra Modi Friday asked state governments to take stern action if there is any attack on Kashmiris, calling those who targeted them recently in Lucknow "crazed people". In an apparent reference to remarks by opposition leaders after the recent air strikes against the Balakot terror camp in Pakistan, Modi also lashed at those demeaning the valour displayed by the armed forces after the Jaish-e-Mohammed attack against the CRPF in Pulwama. 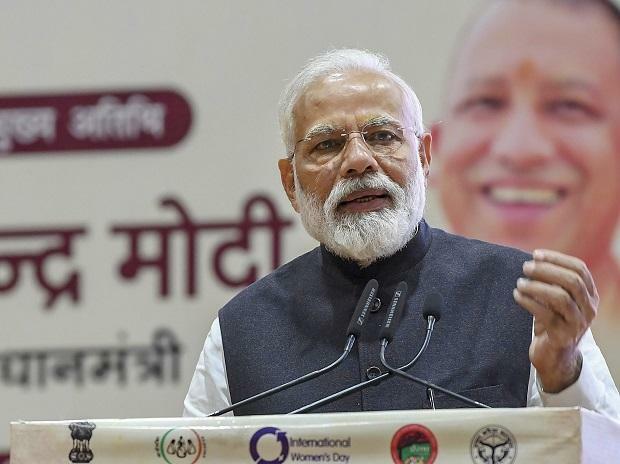 Addressing a public meeting here, Modi brought up the Lucknow incident in which two Kashmiri vendors were thrashed on Wednesday, allegedly targeted by members of a right-wing group over the Pulwama attack that killed 40 paramilitary personnel last month. The prime minister called the perpetrators sirphirey log (crazed people) in near identical remarks at the meeting and on Twitter. "It is very important to maintain an atmosphere of unity in the country," Modi said. He congratulated the Yogi Adityanath government for acting promptly over what some crazed people did to our Kashmiri brothers in Lucknow. "I would also like to request other state governments to take the strongest action possible wherever there is an attempt to do something like this," he said. The prime minister was addressing the meeting after flagging off the commercial run on Lucknow Metro's North-South corridor, through video conferencing from Kanpur itself. Modi also symbolically laid the foundation stone for the Agra Metro Rail project at the same event. He visited Varanasi and Ghaziabad too on Friday, launching development projects and addressing public meetings. In an apparent reference to opposition parties, the prime minister said it is sad that the bravery displayed by the armed forces was being demeaned. "The valour shown by our armed forces after the Pulwama attack was witnessed by the entire nation, he said. But it is very sad that continuous efforts are being made back home to demean the valour of the armed forces. Today, when the entire world has built pressure on Pakistan and it has been caught red-handed over terrorism, at this juncture statements which help Pakistan are being made," he said. "Does this behove them (the political parties)? he asked. Do not forget that based on your statements Pakistan is spreading lies in the world," Modi said. "The statements being issued for vested political interests and the language used are giving strength to the enemies of the country," he said. He said the terrorists had been left confused, and the recent terror attack in Jammu was a result of that. Taking a dig at opposition parties, the prime minister called their proposed grand alliance grand adulteration. He said they dislike him though he is fighting a decisive war against terrorism, corruption and poverty". Uttar Pradesh Governor Ram Naik, Chief Minister Yogi Adityanath and other UP ministers attended the event. Modi also distributed keys to houses built under the Prime Minister's Awas Yojana.